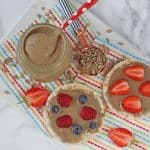 You may remember that a couple of weeks ago I posted this recipe for homemade Sunflower Butter. 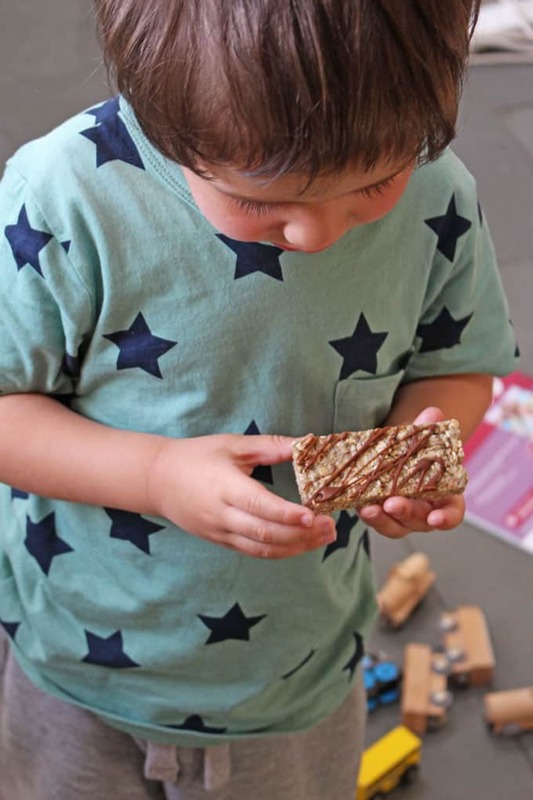 Made with just sunflower seeds and a few other natural ingredients, it’s a great alternative to peanut butter for families dealing with nut allergies. 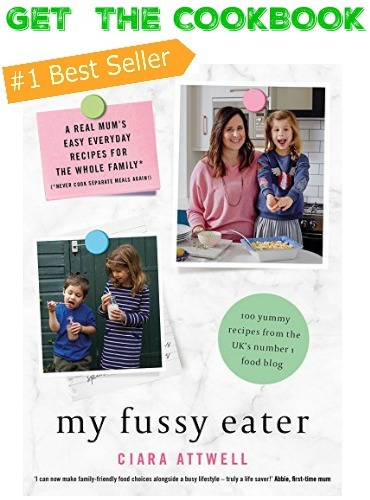 Even if you are not dealing with a nut allergy in your family, many schools and nurseries no longer allow children to bring any nut products in their lunches or for snacks so this is a brilliant substitute. 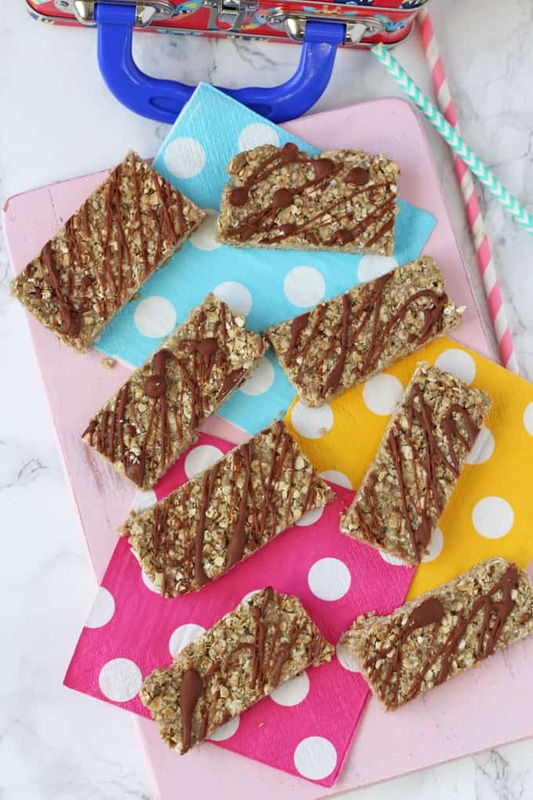 These Sunflower Butter Energy Bars are so easy to make and will keep in the fridge for several days, perfect to have on hand for an afternoon snack for kids or to pop into their lunchbox. 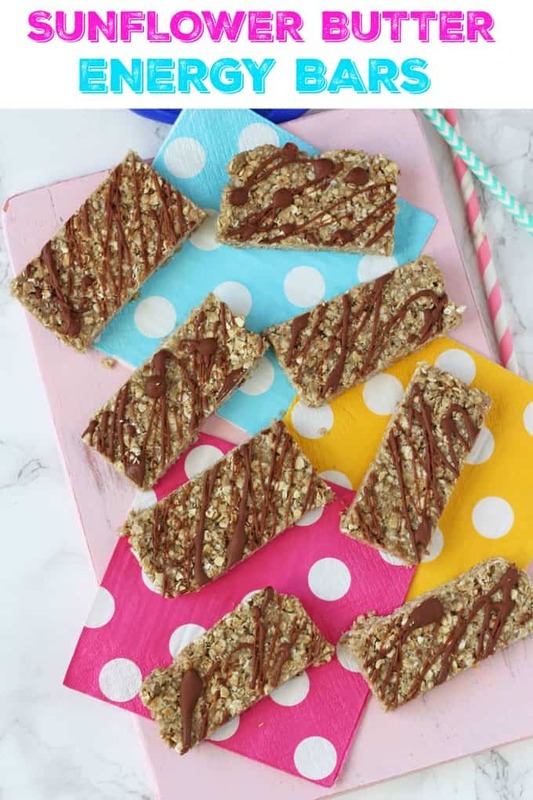 They are also packed full of nutritious ingredients like rolled oats, chia seeds and ground flaxseed (which is high in fibre and a great source of plant-based Omega 3’s). 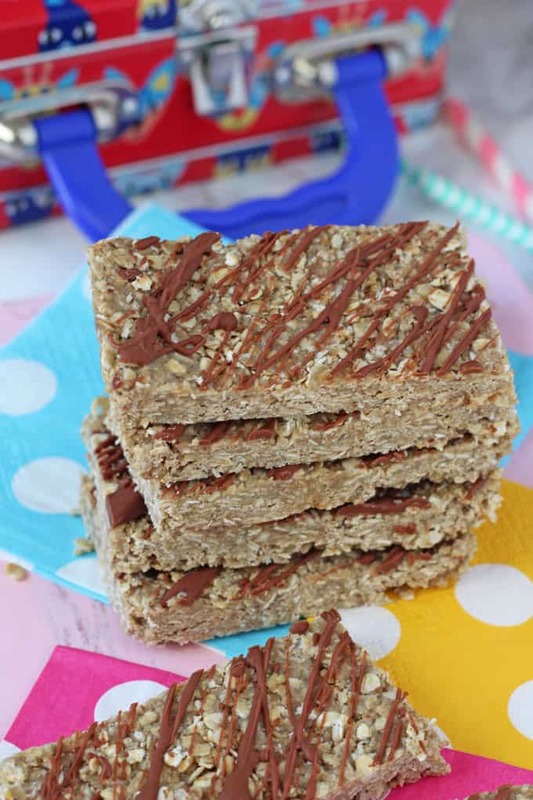 The bars are naturally sweetened with coconut and honey which makes them very appetising to kids! 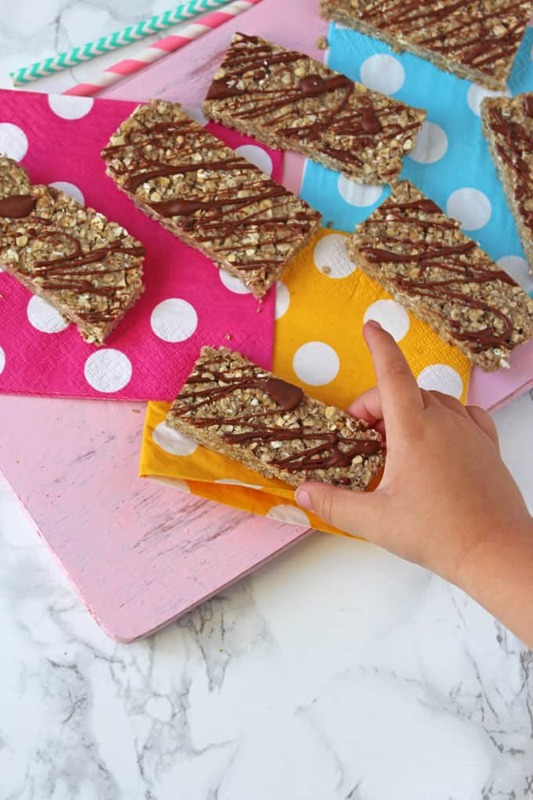 The chocolate drizzle on top is completely optional but it does add a lovely finish to the bars and of course makes them even more kid-friendly! 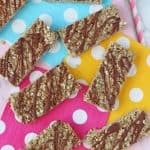 These bars keep really well in the fridge for several days so they are perfect for making in bulk. 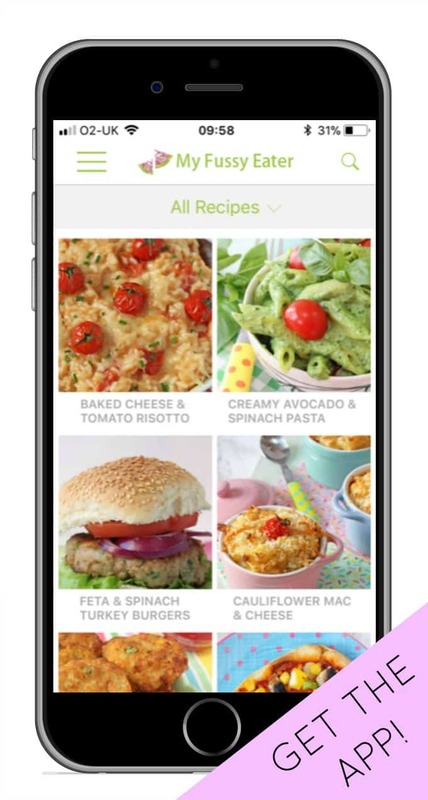 I’ve been getting so many messages and tags on Instagram lately from you guys making my recipes. Please keep sending me the pictures. Its always the highlight of my day to see them! 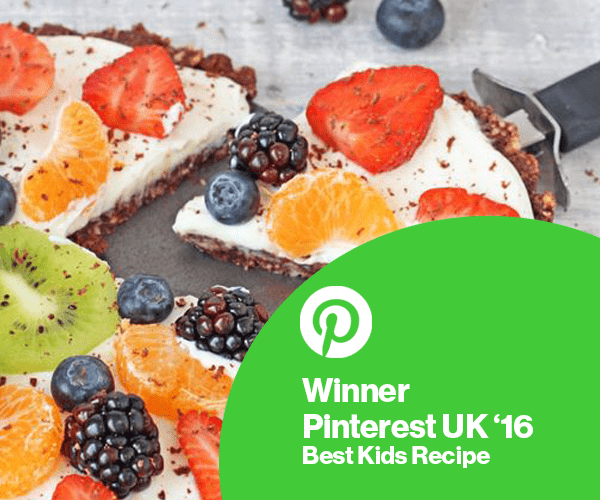 Place all the ingredients except the chocolate in a large bowl and mix until well combined. Line a 9 inch square dish with parchment paper and transfer the mixture into it, pressing down well with the back of a spoon. Freeze the mixture for 25 minutes, remove and then lift the parchment paper out of the dish. Melt the chocolate and drizzle it on top and put the dish back into the freezer for another 5 minutes. 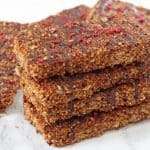 The energy bites will keep in the fridge for up to 4 days. Have you ever froze them for later consumption? Love this recipe so much. 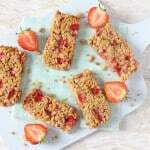 They taste lovely and the whole family from youngest to oldest all take one on packed lunch days! These were good. Tasted a bit different to normal peanut butter but my daughter ate them!